Individuals suffering from rare diseases often face great difficulty in applying for Social Security disability benefits. Allsup applauds the SSA’s recent decision to expand its Compassionate Allowance program in an effort to provide benefits more quickly to eligible applicants. Tbe announcement comes as Allsup and other organizations work with the National Organization for Rare Disorders to observe Rare Disease Day, Feb. 28, to raise awareness of the need for more research and better access to diagnosis, treatment and other services. 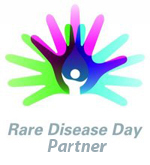 Allsup is proud to support Rare Disease Day, February 28. If you have never heard of Aagenaes syndrome or Zygomycosis, it isn’t surprising—they are rare diseases. In the United States, a disease is considered rare if it is believed to affect fewer than 200,000 Americans. Some rare diseases, such as sickle cell anemia, hemophilia, Tourette syndrome and Lou Gehrig's disease (ALS) are better known. 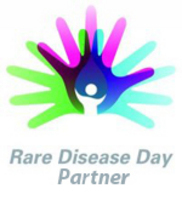 February 28 is Rare Disease Day, sponsored by the National Organization for Rare Disorders (NORD). Allsup is pleased to join more than 300 patient organizations, medical societies, government agencies and companies in support of the rare disease community. The National Institutes of Health estimates there are between 6,000 to 7,000 rare diseases. With so many different types of diseases, even though each one is rare, the impact on the American population as a whole is significant. Rare diseases affect 25 million to 30 million Americans, according to NORD. However, because the number of people affected by each rare disease is small, there often is a lengthy delay in receiving an accurate diagnosis. Patients have difficulty finding medical experts who are familiar with their condition, and there likely is no effective treatment available to change the course of the disease. “Little or no research is being done on many of these diseases, and more than 15 million Americans have rare diseases for which there is no treatment,” said Mr. Saltonstall. In addition to the challenges they face accessing medical care, individuals with rare diseases run into difficulty obtaining social or financial services because those providing assistance are not familiar with the disease. For example, if the disease is not included on the Social Security Administration’s (SSA) Listing of Impairments, beneficiaries are commonly denied SSDI benefits and must go through a lengthy appeal process. Unfortunately, applicants have died while waiting for a decision. In an effort to avoid such situations, the Social Security Administration rolled out its Compassionate Allowances initiative in October 2008 to “quickly identify diseases and other medical conditions that invariably qualify under the Listing of Impairments based on minimal objective medical information,” according to the SSA’s Web site. The SSA initially provided a list of 50 conditions—25 rare diseases and 25 cancers—used to help identify eligible disabilities and make faster decisions for disability benefits through the SSDI and Supplemental Security Income (SSI) programs. Effective March 1, 2010, the SSA is adding 38 more conditions to the list. “The compassionate allowance list of impairments helps disability examiners to understand the effects of certain rare diseases, which can be quite debilitating, functionally limiting and worthy of a finding of disabled,” said Edward Swierczek, Allsup senior claims representative. Allsup has successfully helped individuals diagnosed with rare diseases navigate the SSDI process. Two of them - Alvin Ridl and Patricia Gutierrez—share their stories about their challenges and successes on Allsup.com. Individuals with rare diseases and their families often feel isolated and forgotten. Remember them on Rare Disease Day. To find out more, please go to http://www.rarediseaseday.us . Allsup is a nationwide provider of Social Security disability, Medicare and workers’ compensation services for individuals, employers and insurance carriers. Founded in 1984, Allsup employs more than 600 professionals who deliver specialized services supporting people with disabilities and seniors so they may lead lives that are as financially secure and as healthy as possible. The company is based in Belleville, Ill., near St. Louis. For more information, visit http://www.Allsup.com.